Ashley Coates, left, with Development Squad manager Nick Hall. 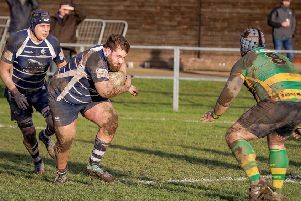 Boston Rugby Club are hoping to make it a magnificent seven - but they will have to topple league leaders East Retford first. 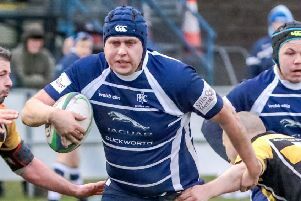 The Blue and Whites stretched their winning streak to six on Saturday with a superb 21-5 success at second-placed Cleethorpes, ending their two-year unbeaten record in the process. But now they face a stern test as Midlands 4 East (North) table toppers Retford visit the Princess Royal Sports Arena. Retford have a commanding 12-point lead at the summit, having won 16 of their 17 matches to date, including a 49-8 victory against Boston in October. The Development Side will travel to face a Nottinghamians XV. Both matches will kick off at 2.15pm.